Agile Infoways is doing a great job on the grounds of mobile application development. Our app developers are highly experienced and creative to craft amazing mobile applications for different clients. We hold huge specialization in delivering stunning applications for clients’ business. We had developed education management application as per our customers’ demand. If you are also looking for customized education management app development, Agile Infoways can help you effectively. With the help of this education management app, the student will have a very easy & user-friendly way to access most accurate and real-time school system. Students will be able to view circular, assignments, blog, news, event, result sheet, gallery, activity list, homework, birthdays, etc. The whole education management will get handled in a flexible manner using the education management app. 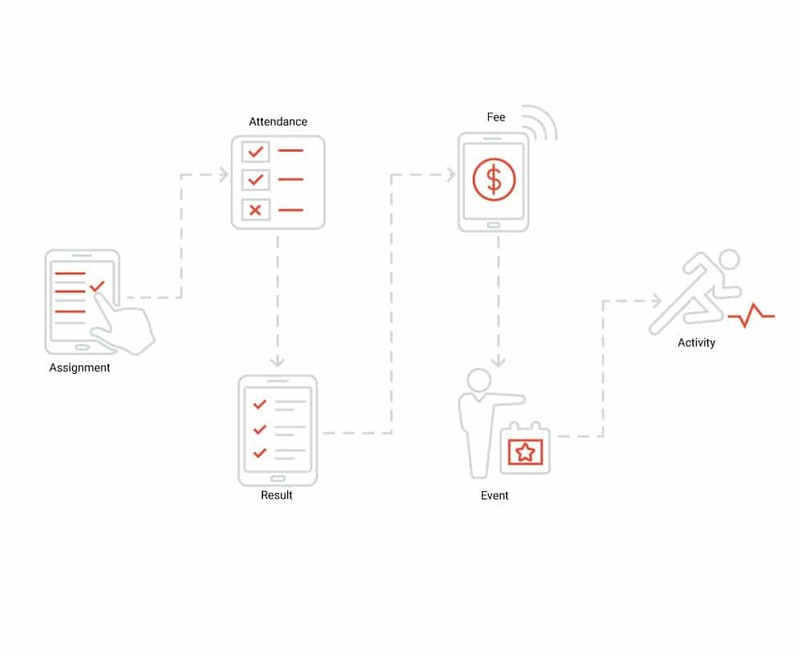 Do you want to build a customized education management app? Agile Infoways can provide you satisfactory solutions. Fees paid/remaining to pay for the year will be shown in this section. Student/Parents can view the attendance sheet in this section. Result sheet will be shown here and can be downloaded. In this section, the assignment will be uploaded by the teachers & reviewed later. Upcoming events and detailed information will be shown in this section. Extracurricular activities, project details and timeline regarding information will be shown. Students can request a leave from here. Leave approval & rejection status will be shown in this module. The teacher can assign a task to the Students and will take an update from the Students regarding the work. Teachers can change the settings from here. Notification, SMS & Mail alerts can be managed from here. Upcoming events and detailed information regarding it will be shown in this section updated by the teacher. Management will define the fees structure, payroll system, scholarship structure, admission process & criteria, attendance system, etc. Management will decide working of every system and things will work accordingly. Management will have the authority to change the working of any system. Management will handle all the finance related things going in the institute. Funding, budget etc will be in hands of management. School Management helps the Students to view the circular, blog, news, discussion forums, and this App even helps the Teachers to update the Assignments, to update the result of the students. I do not have login detail how can I log-in to the application? The school will provide you all the login details. You can request a new password using application from the login screen. Can I apply for leave? Yes, you can apply for a leave. I have applied for leave, now how can I know that my leave request is accepted or rejected? Whenever teacher accepts or rejects your leave request, you will come to know by push notification. How can I make Complain/Query/Suggestion? You can send Complain/Query/Suggestion from Feedback section. My two children are studying in your school, so how can I manage both accounts? You can see your children in drawer menu and you can switch the account to check other child data. How can I compare my child performance with another child? You can check your child performance using performance graph section. How can I check all school functions photos? You can check all photos from photo gallery section.